It is a pleasure to speak at the launch of Thisuri Wanniarachchi’s second novel, The Terrorist’s Daughter. But I must confess that I wondered initially what had prompted a young lady I did not know to ask me to do this. Though I spent many years promoting Sri Lankan writing in English, at a time when the academic establishments of the day tended to look down on this, that was a very long time ago. Yet having read through the novel, I began to understand. One of my criticisms of the literary establishment at the time was its celebration of what I termed the ‘village well’ syndrome. 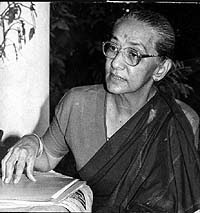 So Punyakante Wijenaike’s brilliant and very sophisticated novel Giraya was torn to pieces, but there was adulation by a Colombo academic of the wife in This Waiting Earth, as representing the real village woman. The sharp social criticism of a village elite in the later novel was not highlighted, nor was James Goonewardene’s The Awakening of Dr Kirthi, still perhaps the best analysis of what had destroyed the administration of this country. I have long felt that works dealing with these higher levels of society are also important, because after this is where decisions that affect larger groups of humanity are made. My own writings, uniquely at the time, dealt with the very highest echelons of power, in that my first novel was based on the ethnic violence of 1983 and I indicated there that that violence had received the blessings of the highest level of decision making. So the entire Terrorist Trilogy dealt direct as it were with the events of 1983 and 1987 and 1989-90. My next novel, Servants, was in a different vein, but its subject matter was similar, since it too, if more obliquely, addressed social and political developments during that long drawn out period of crisis. The last, chronologically speaking, of the poets I shall discuss – and the only one I actually met – is W H Auden. His was the generation that grew up just after the First World War, so they were without the intensity of subject matter that Wilfred Owen and his contemporaries displayed. But they had to deal with a new world order, and their poetry is replete with efforts to develop a system of values to help face the changing political and social circumstances. In the end this involved, in the case of Auden and one of the contemporaries closely associated with him, the novelist Christopher Isherwood, a rejection of the world they grew up in, and both escaped to America during the Second World War. The third of the group, Stephen Spender, stayed on in England, though as a conscientious objector. Almost the last poet of the 20th century whom I shall discuss may seem a most unusual choice. He certainly would not qualify as a genius, but he was not only a most entertaining writer, he also had a delightful sense of nostalgia. This I think serves to make his vision of the process of age and change well worth recording.